Sipsmith was started in 2009 by our founders Fairfax, Sam and Jared with the mission to open the first copper distillery in London in almost 200 years and bring London Dry Gin back to its home – made the way it used to be, the way it should be. Since then we’ve grown tremendously, acquiring new stills, recruiting new drinkers and building on our great team. We’ve recently joined forces with Beam Suntory, a company which values heritage, craftsmanship and people as much as we do and so the opportunities for our team and brand are ever more exciting. We like to think that we have created an incredible place to work, where you can be creative, autonomous and have fun at the same time. We believe it is our team here that drives our great culture, that makes our business what it is (on top of our world class gin), so we work hard to ensure that everyone in the business loves what they do. We are looking for someone for whom this resonates. This is an exciting opportunity to join an incredible team with the ambitious goal of becoming the first truly global craft gin brand. Working out of the Distillery, you will stand side-by-side with production, supply chain, marketing and sales in a high-visibility position upon which all areas of the business will lean. 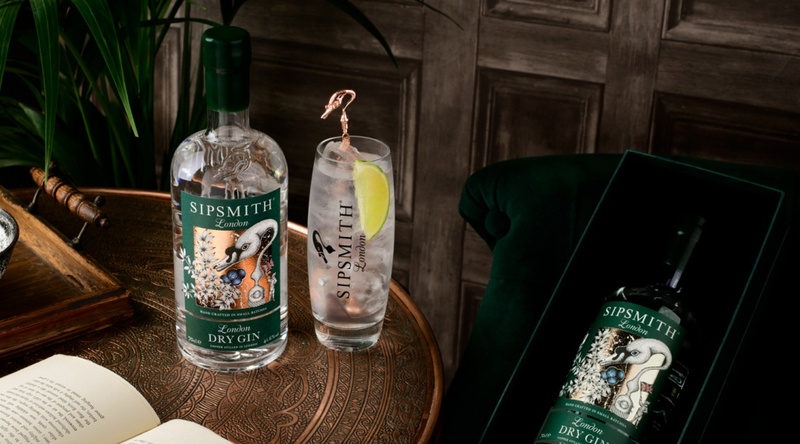 The Controls function provides the foundation for Sipsmith’s commercial success, creating and monitoring a framework of systems, processes and reporting that defines how we operate financially. You will set the standard for the teams in terms of reporting requirements and processes. The role will require a hands-on approach to working with the department heads, with the end goal of ensuring transparency and financial accountability across the entire organisation. You will be the gatekeeper of all historical financial information and provide the platform on which key financial decisions will be made, delivering prompt performance insights and capital forecasts to help us stay ahead of the competition. On top of that, it is your responsibility to ensure that the company meets all legal and ethical requirements in the course of its business operations. You will always exhibit the highest level of honesty and discretion in handling sensitive information. – Ensure high quality accounting and SOX compliance by managing the entire controls environment and developing this in line with internal and external regulations. – Responsible for a sharp month end close and development of strong management reporting tools. – Essential will be the detailed interrogation of COGs performance at a channel and SKU-level, understanding the drivers for variances and making recommendations as required. – Analyse, understand and influence sales plans in relation to volume, price & mix impacts. – Develop and improve processes for P&L and capex tracking, working with department heads to understand their needs. – Create robust forecasting scenarios across P&L/capex/cashflow/stock, working as a partner to ensure that all strategic imperatives are considered. – Oversee AR and AP, enforcing the credit policy, reviewing the pay run and ensuring correct governance is followed at all times. – Evaluate new projects, including NPD, and their financial impact on the business. – Project manage upcoming system upgrades. – Prepare year end audit files for review by external auditors. – Audit trained and ACA qualified. – Essential to have experience working in or auditing manufacturing companies. – Evidence of budget control and commercial awareness to results and consequences. – Strong analytical approach with the ability to balance this with a pragmatic style, to engage with all. – Solutions-focused mindset, i.e. able to build credibility throughout the organisation as an effective developer of solutions to business challenges. – Prepared to challenge administrative processes currently in place to optimise efficiencies, then overcome objections and see through plans. – Demonstrable experience in managing people, with coaching and leadership qualities that will help grow and develop a small team. Please send your CV to [email protected] and [email protected] with the subject title ‘Financial Controller’ and a cover letter explaining your experience and why you are a good fit for Sipsmith.